Which city is the most fun? London, NYC, Buenos Aires, Bangkok, Moscow, Cape Town? To answer this question Building Trust international asked professional and student architects and designers from cities around the World to propose ideas which encouraged public interaction and turned redundant city spaces into fun creative places. 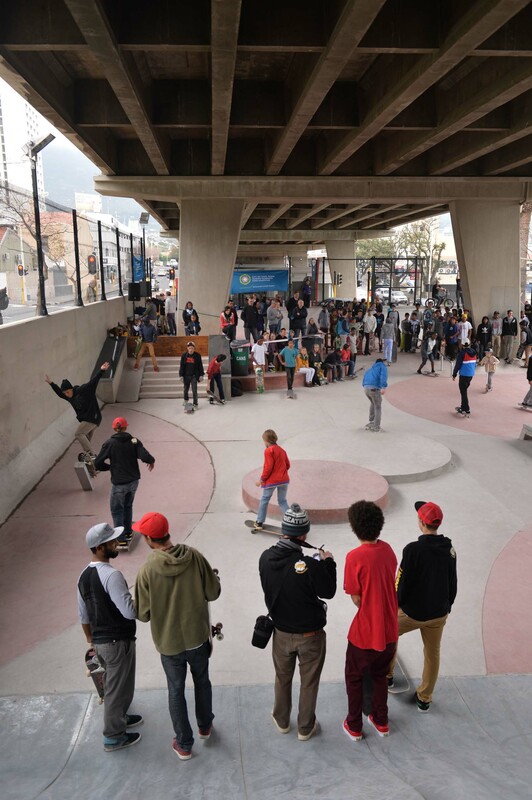 We were thrilled to hear from our team in Cape Town that the winning entry to our PLAYscape competition successfully opened to crowds of eager skaters! 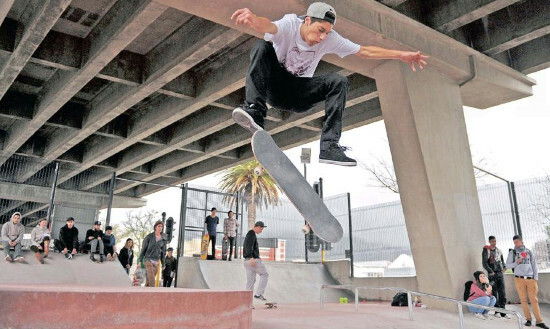 Skateboarding is strictly forbidden in public spaces in Cape Town, therefore the skatepark is an incredible opportunity for enthusiastic skaters, bladers and bikers to make use of the new space to practise their skills together. It is hoped that this will be the first of many innovative open spaces in the city. 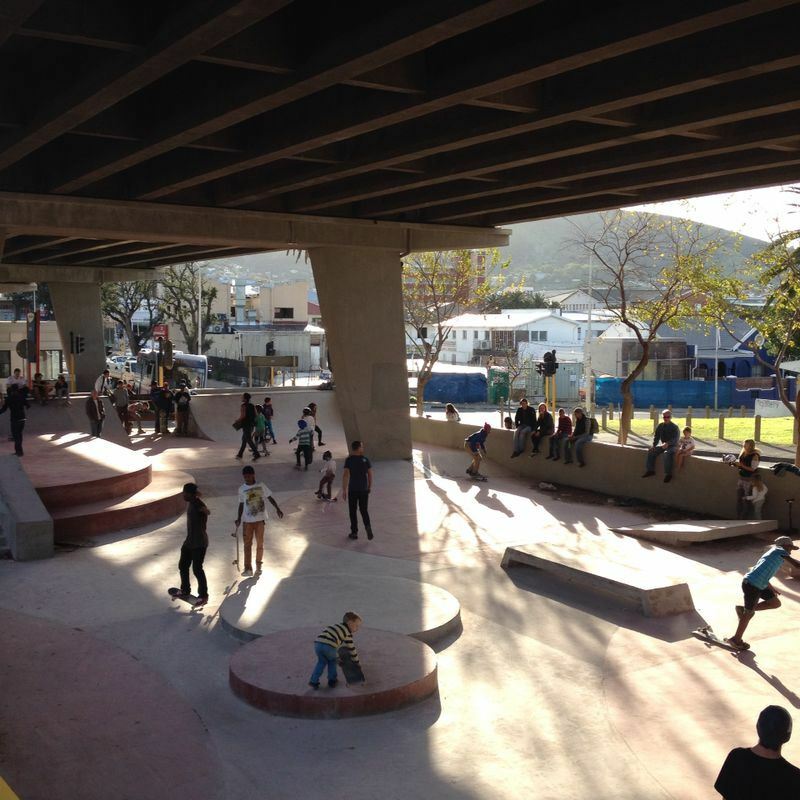 “The aim was to make an unsafe space safer, to give it a positive use instead of a negative one,” explains Alderman Belinda Walker, Mayoral Committee Member in Cape Town. “The official opening ceremony was a huge success. Politicians were very impressed by the number of people that came. 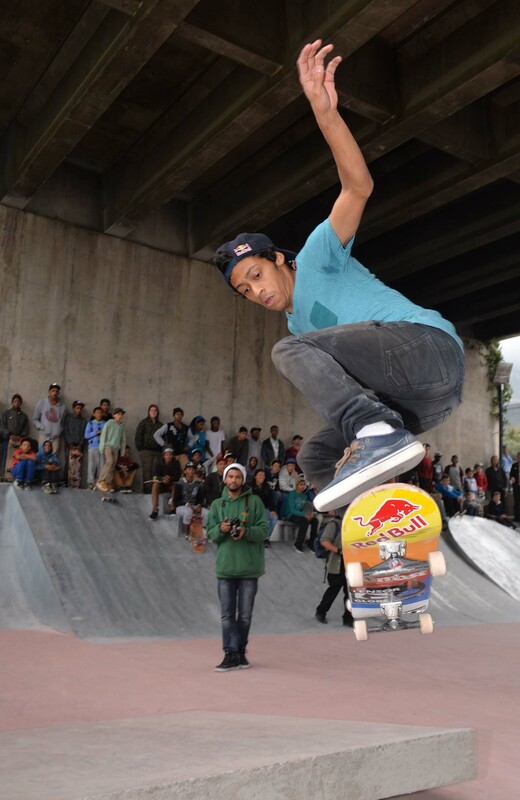 The skaters ages ranged from 3-40 with a wide diversity in culture, religion and race.” Shuaib Philander of 20SK8.